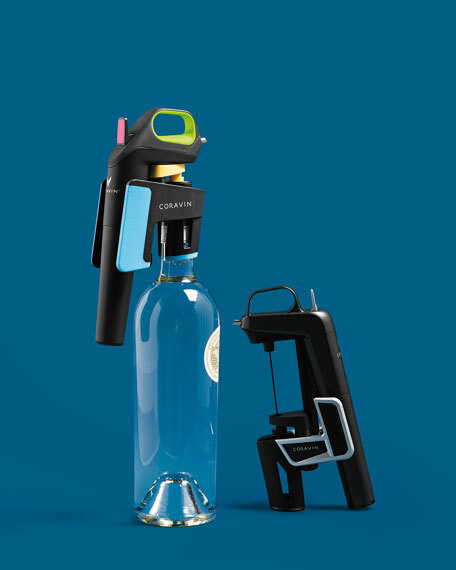 Introducing the Coravin® Model One Wine Preservation System. 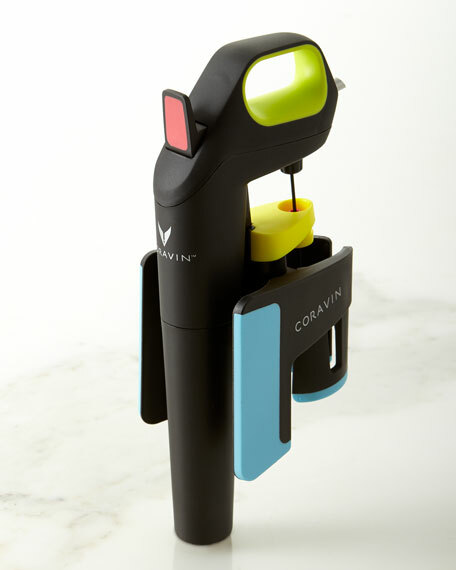 Coravin's proven technology accessible to everyday wine lovers. 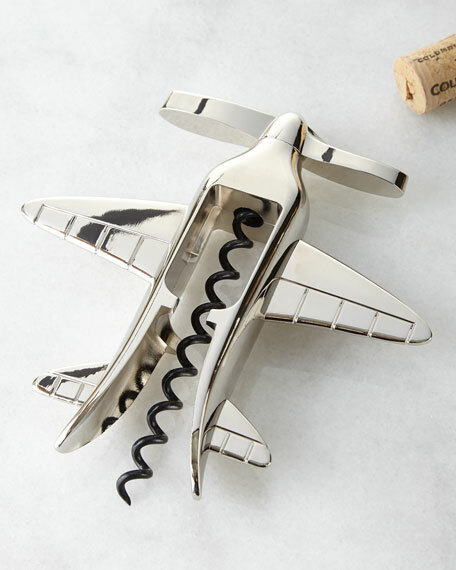 Made of durable plastic with neon, soft touch grips, this is the perfect everyday Wine Preservation System. 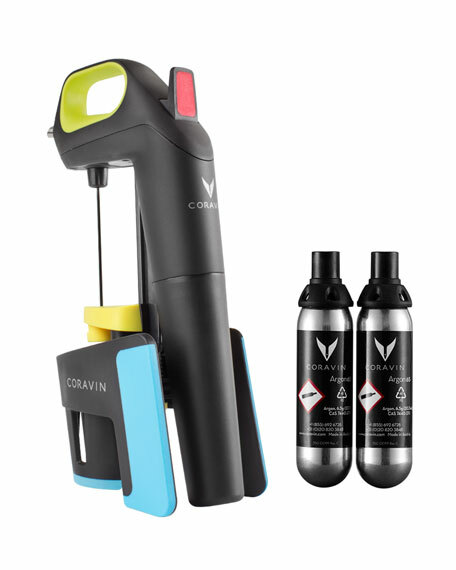 Coravin® Model One Wine Preservation System includes two capsules. 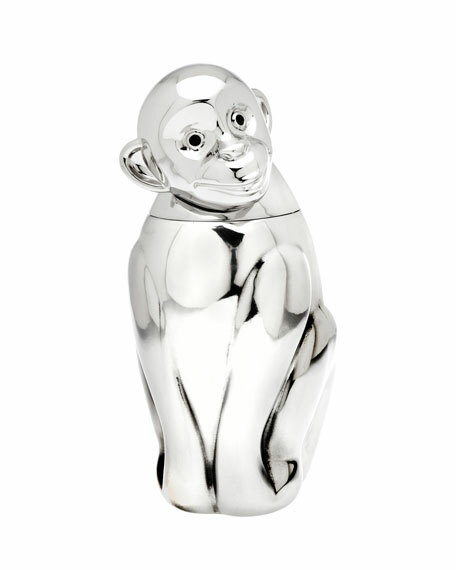 Injection molded plastic, stainless steel, and synthetic elastomers. 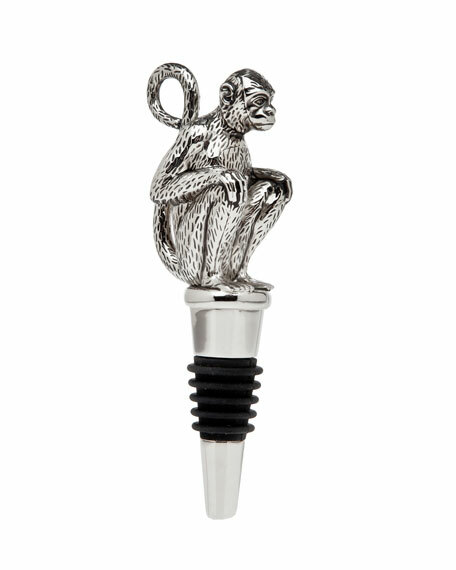 Cleaning instructions: Each day of use, rinse with tap water down the spout to flush any residual wine from the system. After the rinse, press the trigger to remove any water from inside the needle. Do not submerge system in water. 4"W x 3"D x 8.25"T.